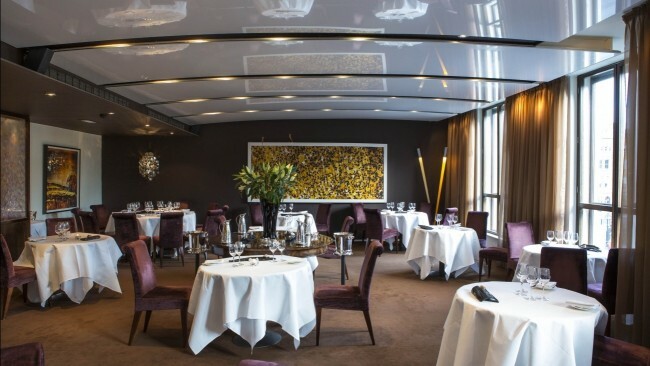 The Fitzwilliam Hotel is a good food lovers paradise. For a fun and chic dining experience try our casually stunning restaurant Citron on the mezzanine level above the lobby, where you sample exquisite food while observing life below and those familiar faces coming through the hotel doors. Citron is a Dublin city favourite. You might be forgiven for thinking that this is casual dining but it’s not; it’s superb food prepared with style and imagination by head chef Philip Mahon. Using the best of local ingredients, bold colours, interesting fusions to create imaginative dishes which will delight and excite. If you haven’t experienced The Fitzwilliam Hotel yet, you’re in for a real treat. The Fitzwilliam hotel offers that special, charming, unfindable-anywhere-else traditional Irish hospitality but in a stylish, contemporary, chic and comfortable setting. One of the smartest, friendliest, warmest-welcoming hotel in Dublin, The Fitzwilliam Hotel Dublin is a five star haven of luxurious style and relaxing elegance right in the very heart of the city. Right at the beginning of iconic Grafton Street, the city’s main shopping avenue, on leafy Saint Stephen’s Green this hotel really is in the finest Dublin city centre location. Everything you could want; Dublin’s best shops, restaurants, theatres, bars, museums and galleries are all just a short stroll away. 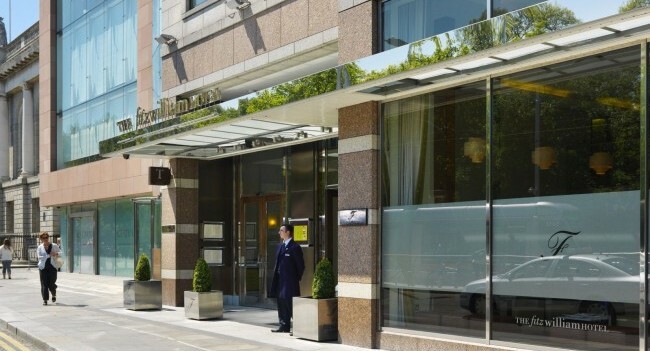 After a busy day wandering the streets, The Fitzwilliam Hotel offers a haven of comfort, a cosy nest. Staying at The Fitzwilliam Hotel is always a special experience, whether you choose to stay in their Executive, Signature, Superior, Deluxe or Premium Deluxe guest rooms. All signature guest rooms enjoy that elegant Fitzwilliam style, that colourful, smart, contemporary look and feel with really comfortable beds that everybody loves, and of course, the extraordinary 5 star Fitzwilliam service. For the ultimate Fitzwilliam Hotel experience stay at The Penthouse, incomparable five star luxury and style at almost 2,000 square feet and perched right on top of the best-located hotel in Dublin. Thornton’s has been named “Restaurant of the Year”. Little wonder as this kitchen is run under the careful guidance of chef Kevin Thornton. A chef who creates uniquely Irish food by combining exceptional ingredients; scallops he dived for himself, sorrel he picked fresh, using Ireland’s ancient natural essences; smoking using shavings of 1,000 year old bog oak, whiskies and poteen. The result is cutting edge cuisine where every mouthful is an adventure, an experience and a true taste of Irish heritage. That’s why Thornton’s is such a famous Irish restaurant. If you want good food fast, the The Inn on the Green could be the dining experience of choice for you. The Inn On The Green is one of Dublin’s coolest city centre bars where hotel guests mingle with locals and business people and great food is on hand all day. The vibrant Inn on the Green bar is nested in one of the best spots in Dublin city centre. Enjoy a modern twist on an old fashioned cocktail, to complement a tasty food platter, in the contemporary surroundings of the Fitzwilliam Hotel with the help of their helpful and experienced bar team who will offer you the best suggestions based on your preferences and tastes.